After killing hundreds in Caribbean, hurricane rips across Florida, Georgia, Carolinas and up to Virginia. Seven people were killed in North Carolina as Hurricane Matthew ripped across the eastern portion of the state, officials said on Sunday. The storm, which killed nearly 900 in the Caribbean before swinging north and cutting across the eastern US seaboard, wrought devastation across parts of Florida, Georgia, South Carolina, and North Carolina before hitting Virginia. With Sunday’s report from North Carolina the total death toll in the United States rises to 16. 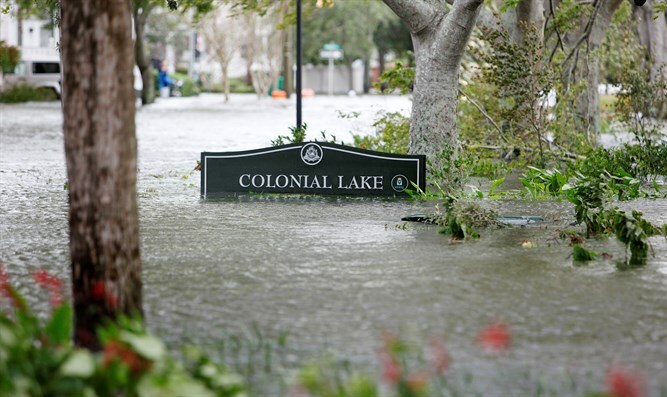 Millions of residents in the effected states were ordered to evacuate, and roughly two and half million lost power as the hurricane dumped as much as 18 inches of rain in some areas. The storm appeared to weaken as it reached Virginia late Saturday night and early Sunday morning. On Sunday Matthew was downgraded from a hurricane to a tropical cyclone. But meteorologists warned that despite the slower wind speeds, the storm could still cause massive – and life-threatening - flooding across North Carolina and Virginia.